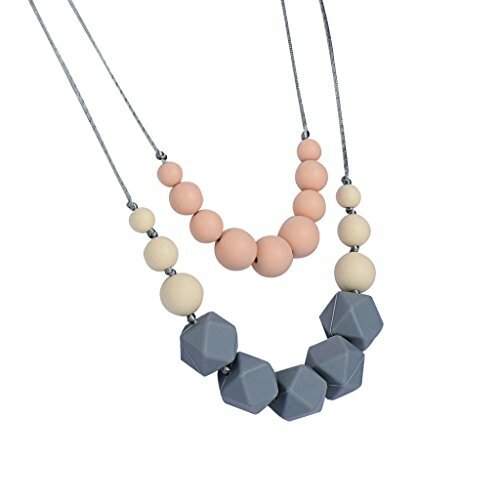 We use only 100% organic, food-grade, BPA-free, lead-free, phthalate-free silicone beads in our teething necklaces. 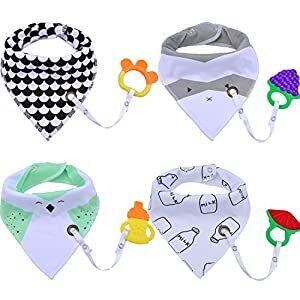 Break-away clasp and individually-knotted beads for safety, Alternative to Baltic amber necklaces, freezer teething rings, chew keys, and teether toys. YOUR NEW FAVORITE NECKLACE is eye-catching, won’t pull your hair, and the length can be adjusted,Length is 31″. 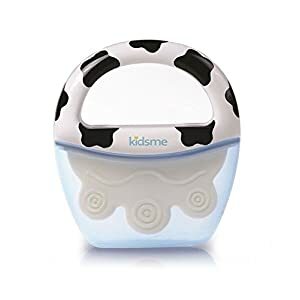 For breastfeeding moms that need to keep baby’s hands occupied during breastfeeding.Best baby shower gift for new moms! 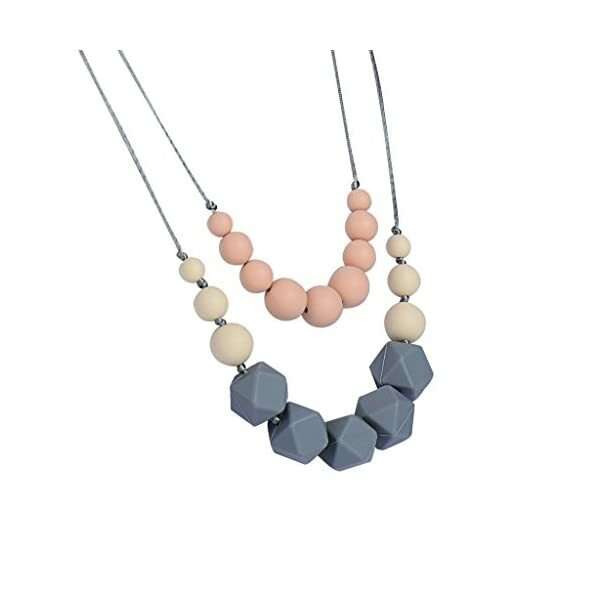 These pendants are the perfect way for a stylish mom to keep a teething toy at the ready while on the go. 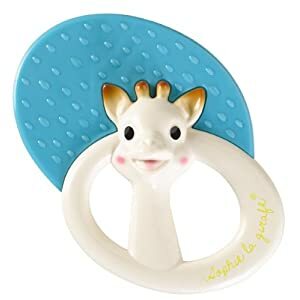 Function as both a stylish accessory and a teething/nursing toy for your baby. Use to help soothe baby’s sore gums while teething or while nursing to stimulate your baby and keep their attention. The beads are made from 100% food grade silicone. Soft non-toxic material – No BPA, no phthalates, no cadmium, no lead or heavy metals. FDA and CE approved. A good alternative to freezer teething rings, baltic amber beads, pacifiers, teether or chew keys.And the necklace comes with a break away clasp for added safety so there is no risk of runaway beads. The jewellery is washable and just to make mum’s life even easier. The teething necklace and bracelet beads can even go in the dishwasher (top shelf) or in a steam sterilizer. Wash with warm mild dish soap and air dry. We offer a 100% Satisfaction Guarantee and the product can be returned for your money back if you are not satisfied. We are confident you and your baby will love the product! ATTENTION! This necklace is meant to be worn by adults only. Please do not leave your baby unattended with this jewelry or any other jewelry. Remember to regularly check your silicone necklaces for any defects to make sure it’s safe. 100% Custom Handmade, slips on and off easily. If you changed your mind or not happy with your purchase, you can get your money back!